When a bicyclist is hit by a vehicle, the harm to the bicyclist can be life-threatening. This is because most bicyclists have only a helmet as a form of protection whereas motorists have the luxury of air bags, seat belts, and other safety mechanisms. An example of just how serious collisions can be between a bicyclist and a vehicle was the fatal accident that occurred on Merle Avenue near Daniel J. Savage Middle School in Modesto. A repeat drunk driving offender struck and killed a 38-year-old sergeant for the Modesto Police Department while the off-duty officer was riding his bicycle. The impact of the collision threw the cyclist from the roadway where he was pronounced dead by emergency responders at the scene of the accident. As you can see from the accident described above, bicyclists are at serious risk of suffering major injuries or even losing their lives while traveling on Modesto roads and highways. In fact, California leads the country in bicyclist deaths. Incidents of deadly bicycle collisions were studied and the data revealed that bicyclist deaths increased by a whopping 16 percent during a two-year period. Furthermore, bicyclist fatalities account for twice as many deaths in California than the national average. It is important to understand that, under the California Vehicle Code, bicyclists essentially have the same rights as drivers of cars, trucks, and SUVs. That means bicyclists deserve the same respect when they are on a Modesto road or highway. Unfortunately, many drivers do not realize this fact and attempt to pass bicyclists in reckless and aggressive fashion. If this happens, you have a legal basis to hold the negligent driver accountable and seek monetary compensation for your injuries. The damages you can reasonably expect to recover through a personal injury claim include reimbursement of the medical costs accrued from the accident, future medical treatment, lost income due to time away from work, future wages if you cannot return to work, and compensation for the mental anguish, inconvenience, and emotional distress associated with getting badly injured in an accident. To recover the monetary damages described above, an injured bicyclist must establish that the driver was negligent. If negligence is established, the driver is liable for your harms and losses. Under California law, negligence is defined as failing to act as a reasonably prudent individual would act under similar circumstances. So, for example, if a driver was intoxicated veered onto the shoulder of the road striking you or a family member, that type of conduct is not how a reasonably prudent individual would act under similar circumstances. Drivers are obligated to respect the rules of the road and all California traffic regulations. Driving while under the influence of drugs or alcohol, texting and driving. Speeding, etc. are all violations that could serve as a basis for holding the driver liable for your harms and losses. Even if you contributed to causing the collision, you still have the right to seek financial restitution for your injuries. California is a pure comparative negligence state. This means judges and juries analyze the relative fault of both parties and make a calculated assessment of who was at-fault. If you contributed to the collision, any award of monetary damages would be reduced by the percentage of fault a judge or jury deemed was appropriate, given the specific facts of your case. 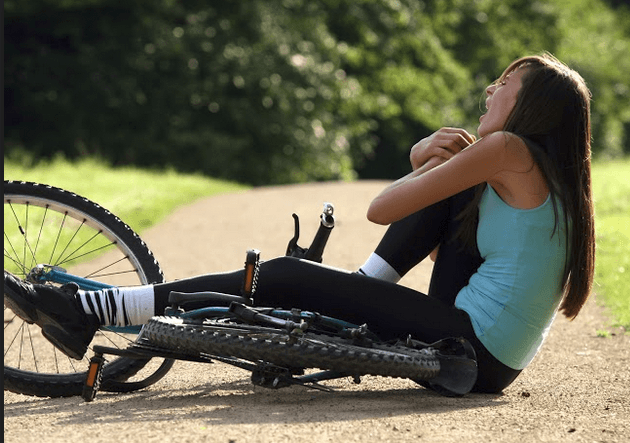 If you or a loved one was riding a bicycle and got hit by a vehicle, you have two years from the date of the accident to file a lawsuit for monetary damages resulting from the collision. Waiting to file any longer than two years is a major mistake and may cost you the ability to even recover monetary damages. Many judges opt to dismiss lawsuits if they are filed in an untimely manner. There are some exceptions to the two-year statutory deadline. For example, if the victim of the collision was a minor, the statute of limitations is “tolled” under the minor reaches the age of majority and becomes a legal adult. When they reach the age of legal adulthood, the statutory clock starts, so they would have two years from that point to file a lawsuit. There is another exception that actually shortens the statutory deadline considerably. This is when you or a family member is hit by a vehicle that was owned by a government entity such as the city or state. If you are hit by a government vehicle, you are required to file a notice of your intent to seek monetary damages within six months of the date of the accident. I’m Ed Smith, a Modesto bicycle accident lawyer. If you or someone you love has been injured in a bicycle accident because of a negligent party, please call me today for free and friendly advice with no obligation. I can also be reached online at AutoAccident.com. I have been serving the Modesto and Greater California community for over thirty years helping injured people in their time of need. Some of my valued clients have left reviews of their experience working with me on: Avvo, Google, and Yelp. I am honored to be a member of the Million Dollar Forum. This group is reserved for injury lawyers who have obtained case verdicts and settlements in excess of $1 Million. My past Verdicts and Settlements are available on my website for your review.